A better way to prospect? ​Most people don’t search for gold properly – that’s a fact. They don't realize their location is telling them where to dig and where not to. But before I start getting into the nitty gritty with you, Can you to do something for me? This will take your prospecting skill to a new level. Take just a moment and think about the perfect gold prospecting site. You know, that one creek, riverbed or whatever location that is your dream place to go prospecting. Where will you start digging for gold? Which boulder or gravel pile will you start digging by? Will you be starting on the right side of the creek, or the left? And will it be on the upstream side or on the downstream side? Stop for a moment and imagine what you are doing in this scenario. You are thinking through this so you can see what would happen in real life, if that perfect gold prospecting location ever came around. How do you know where to dig in the first place? Is it even possible for you to predict where gold is without having begun to dig yet? Yes - because there are quite a few simple and easy methods you can use to get a good bearing on where gold is most likely to be. No - because until you start digging with a strategic method, you will never know if there is gold there or not. Also, there is a method for developing a map of your area for determining where the gold is that requires you dig (or sample) in a specific way, but more on that in a minute. Knowing how to locate the pay-streak makes all the difference when you are hunting for gold. This isn’t simply ﻿using ﻿your gold pan to find gold. No, it’s more about using your gold pan to magnify the clues that show where to find gold. That’s what any seasoned prospector will tell you. Being able to spot and understand clues that will tell you where gold is concentrating is crucial to success. Regardless, if you can look in creeks or rivers, even if you are hunting the elusive Mother Lode, you’ll benefit from getting this new report - 20/20 Prospecting. 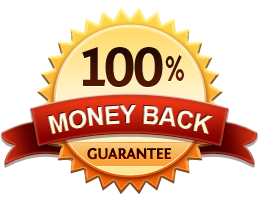 By becoming a better, more effective gold prospector you learn where you should start you prospecting endeavors. No more guessing & digging endlessly, while you keep on going deeper..
Nobody likes to be frustrated when you should be having fun, right? Seasoned experts use these essential step by step﻿﻿﻿ methods ﻿to ﻿find out where the gold really is. 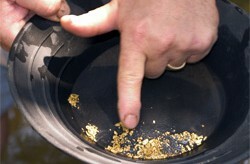 The gold pan is also used to recover the nuggets and fine gold after you’re done gold mining. As you will find out when you get 20/20 Prospecting, you will learn a few good ways to make sure you get the most out of your work, and get the desired results much faster than you would ever think possible! 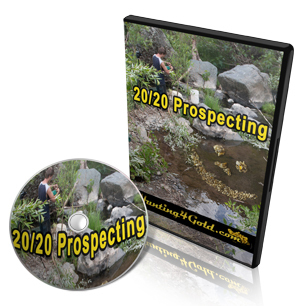 You can quickly and easily learn how, when you get started with 20/20 Prospecting! Your ﻿﻿gold ﻿﻿prospecting ability is about to jump to new levels! P.S. YouTube videos will never give you the quality you get with this full length DVD Video! You get what you pay for in life, so don’t waste your valuable time on products with little value.